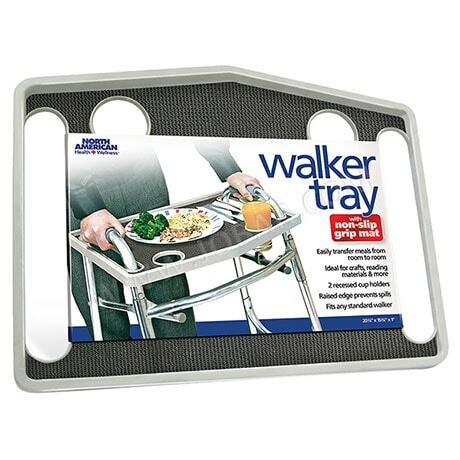 Walker tray with non-slip mat holds food and drink, crafts, books, anything you want to take on the go. Rubber grips help prevent sliding. Raised edges, 2 recessed cup holders. Slides over the handles of most standard walkers. 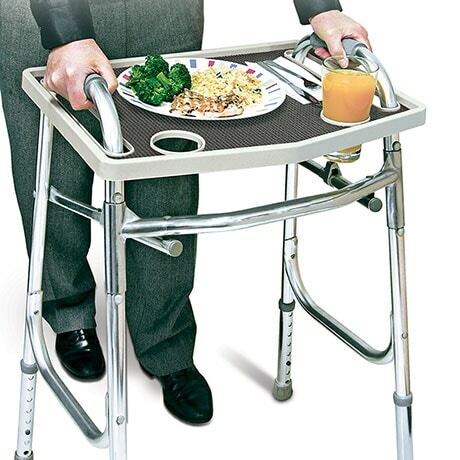 Great for buffets and potlucks! Easy to clean plastic. 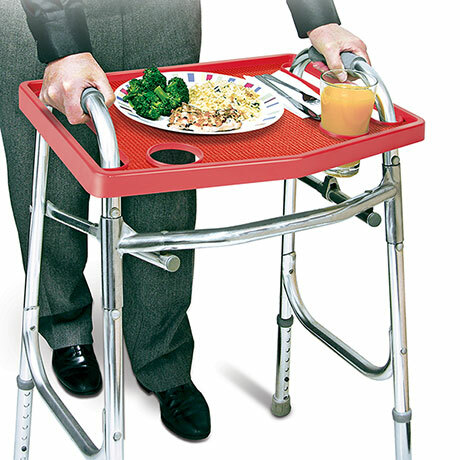 21"L x 16"W x 1"H. Specify gray or red.